Just recently, I was asked during a seminar about coping with job loss. It was quite interesting because the participant asked me to give an advice. After a few minutes of discussion, I came to realize that the problem I was facing was more than just a job loss but an entire mindset on money management. This person has no savings at all but has debt as high as Mt Apo! If I had the ability to turn back the hands of time, the one thing I would do is help them avoid being in that situation in the first place. Always remember, an ounce of prevention is better than a pound of cure. With that, let me share what personal budgeting is all about and how it can benefit you. Personal budgeting – is all about understanding your money. This allows you to control and manage your finances properly, as well as lets you have a better chance of attaining your financial goals. So think of budgeting as your roadmap while traveling on the money highway. Here is a guide to creating your personal budget successfully. I call it PLANT, a very appropriate tag since this will guarantee you a bountiful harvest. Prepare it. It’s a mindset change. You are now accepting the challenge of taking control of your expenses and not letting your expenses control you. People avoid doing personal budgeting because of fear that they are going to deprive themselves of the essentials and the comfort they have grown accustomed to. This is not the case. In fact, I always encourage people to set their budgets realistically, where there is a level of comfort that does not lead to extravagance. If you continue these easy steps properly you will realize that you’re on your way to financial freedom and security in no time. Lay it down. Write out your plan. Having your plan in writing makes it easier to follow. You can’t recall everything you plan mentally. Writing it down helps you remember and keep track of it. The two components that we should fix are your projected inflow and outflow. Inflow includes all income. This is not necessarily just your salary. This can be commissions, dividends, interest income, etc. Determine how much your net monthly income is. If a particular income is not expected on a regular basis, then a good educated guess should be okay. Remember that budgeting is not an exact science but a skillful art. Outflow pertains to everything that you spend – be it a large or a small expense. Determine how much your expected expense will be. This should include your rent, food, utilities, fuel, etc. This is normally the hardest part of budgeting. You don’t need to be too specific. Just do major categories. Electricity and water can be lumped together as Utilities. Just make sure it is consistent. Most likely, you will have unexpected and hidden expenses. This makes it necessary to add another category called Miscellaneous Expenses. Some expense may not be recurring so just try to do your best estimates. As you progress, you’ll have a better feel or estimate of how much to allocate. If you’re having a hard time determining what the amount to write down, try to work backward, track down the amount you spent in the past and use that as a basis. Tip: Place a savings portion on the first line of your outflow. This compels you to keep on allocating an amount for your savings. Adjust it. Compare the projected inflow versus outflow. At this stage you will start seeing discrepancies. You will notice that there are months where your expected expense will be higher than your income. Try to adjust it. Say, if a particular item need not be purchased during a particular month, then you might want to defer or move it. Or if there are savings recorded in a previous month, then make sure it is allocated to that extraordinary occasion or event in that particular month in the future. Note it. Record and keep track of your actual revenue and expenses. My advice is to do it on a regular basis. There are items that are predictable, such as rent, phone bills and electricity, and then tough ones such as special lunches, movies and coffee fixes. If you don’t think you can remember all of them, you can try bringing a small notepad and writing them down as you incur them. If you don’t want to look like Sherlock Holmes with a notepad, you can use the notepad function of your mobile phone. The more frequently you record your expenses the fresher the items are. Consolidate everything in your computer. I prefer to do it on the 15th and 30th of the month, or whenever payday is. You may choose to consolidate it on a weekly or monthly basis. What is important is consistency. If you use your credit card to make the payments, I still suggest you record the expense on the day you used it and not on the day the payment is due. Track it. Check if you are on track or in line with what you had planned. There will almost always be discrepancies or deviations. That’s all right for as long as it’s small, because in the long run the discrepancy will just tend to smoothen out. If the deviation is big, then it’s wise to revisit your budget and adjust. As you practice personal budgeting, you will realize a lot of new things about you and your spending patterns. So let personal budgeting be your guide to help you save. Because the more you save, the faster you build your wealth and the more financially secure you will be. Good luck, and happy budgeting. 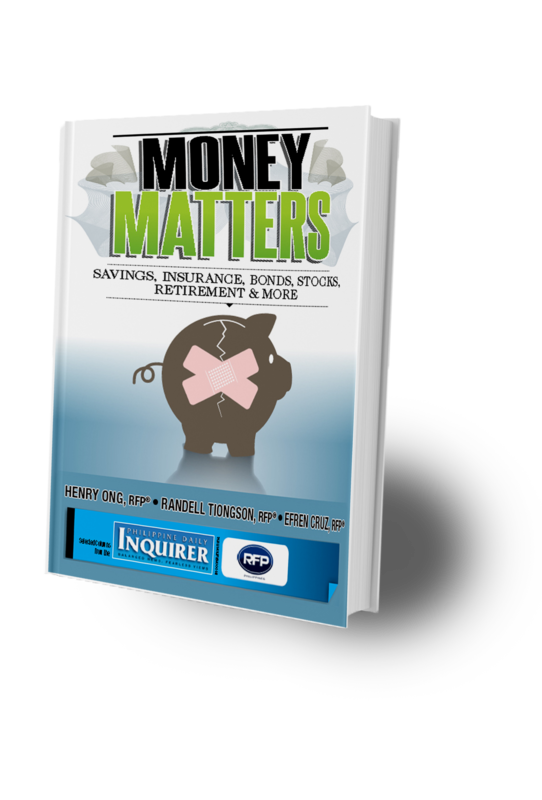 Melvin J. Esteban is a registered financial planner of RFP Philippines. He is president and chief financial planner of WealthArki and Consultancy, a financial planning firm. Learn more about personal financial planning at the 69th RFP program this June 2018. To inquire, e-mail info@rfp.ph or text <name><e-mail><RFP> to 0917-9689774. Next: Is The Worst Over For PH Stock Market?